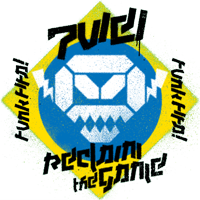 The incredible PWEI need your help to highlight the greed and incompetence of FIFA as well as the austerity facing the Brazilian people. Shout out and raise awareness of these issues by entering the 'Reclaim the Game' remix / mashup competition. > Download the acappella version of Reclaim the game from the download link above. > Use the resource link to access MP3s of tracks with the same tempo, 101 bpm. > Upload your remix / mash up at the top of the page. Official video for the unofficial world cup song. Could this be the greatest day? Find a song/s at 101 bpm you think you would like to use. Hunt down karaoke/instrumental versions of the song/s you want to use, or create your own mash up by using the instrumental passages of several tunes. When you're done, upload in mp3 format, using the link provided. The winner (best entry as judged by the band) wins 2 free tickets to the PWEI gig of their choice* and a free signed album (due in October). *Sorry, can't do festivals or pay for travel.